Kosambari is a very popular salad preparation from south India, specially in Karnataka. This dish is mainly used as a salad in Udupi cuisine. 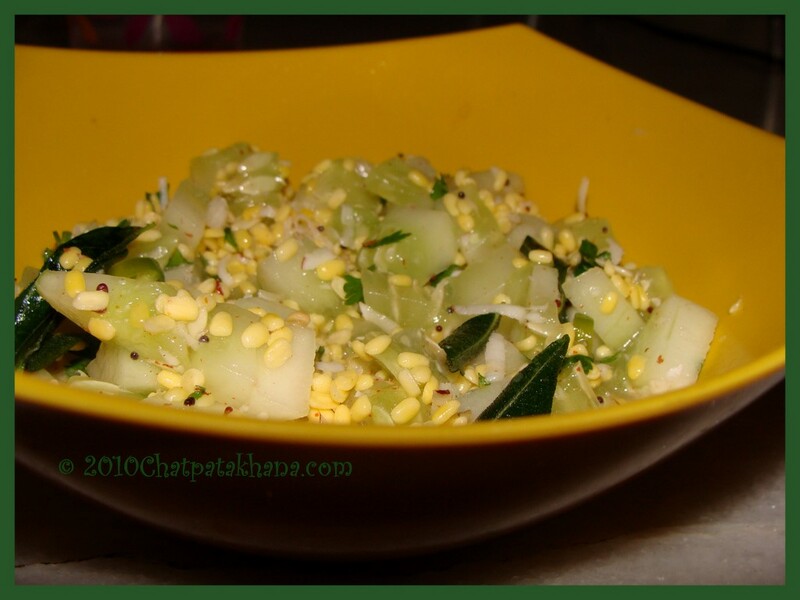 Mix cucumber pieces, soaked dal , salt, coriander leaves, grated coconut, cut green chilies and lemon juice in a bowl. give it a good mix and set aside. When the seeds crackle , pour the tempering on the mixture. Goes well with roti or rice. It is used as a salad. You can use other vegetables like carrot , beans ,cabbage or beetroot to make this salad. The method remains same !